ABV Gold is a publicly traded, junior mining-exploration company headquartered in Montreal, Canada. The company pursues the acquisition and development of mining properties known to contain significant mineral assets, principally uranium and or gold. Dan Ryan, CEO of ABV Gold, provided an in-depth discussion of the company’s current position and recent developments including plans for expansion. Other topics included the company’s business strategy, plans for corporate finance, strong market trends for gold and uranium, and Mr. Ryan’s investment banking experience. This entry was posted in ABV Gold ABVG, QualityStocks Stock Newsletters on September 28, 2007 by QualityStocks. ABV Gold was pleased to announce this morning that it has signed a Letter of Intent to acquire a uranium prospect in the Elliot Lake Region of Ontario, Canada. Uranium has always been a top priority as the company is focused on acquiring the best uranium prospects. Once it has acquired enough prospects and has the appropriate funds, the company plans to create a separate uranium division. This entry was posted in ABV Gold ABVG, QualityStocks Stock Newsletters on September 27, 2007 by QualityStocks. ABV Gold announced this afternoon that it has acquired a 70% interest in a producing gold mine in Russia. The mining claim contains 33,995 square Km, and gives the company greater potential on the exploration front. This entry was posted in ABV Gold ABVG, QualityStocks Stock Newsletters on September 24, 2007 by QualityStocks. The management of ABV Gold has strategically positioned the company to acquire more properties and grow its asset base. ABV Gold has shown its commitment to maximizing shareholder equity in the past, and has great potential to become a key player in the gold and precious metals mining industry. This entry was posted in ABV Gold ABVG, QualityStocks Stock Newsletters on September 19, 2007 by QualityStocks. In today’s conference call, the management of ABV Gold announced two large updates to investors and potential investors. The company reported that it will be announcing the retirement of shares soon and that the transfer agent will be accessible on Thursday of next week for everyone who wishes to confirm the retirement. It was also stated that a PR regarding an acquisition will be released before the opening bell Monday morning. The management of ABV Gold believes that the acquisition will give the company a new footing. This entry was posted in ABV Gold ABVG, QualityStocks Stock Newsletters on September 14, 2007 by QualityStocks. This entry was posted in ABV Gold ABVG, QualityStocks Stock Newsletters on September 12, 2007 by Jeanne. Investors are quickly finding out about the emerging Gold and precious metals mining company. ABV Gold is focused on locating, exploring, and mining world-class deposits, and holds claims in three different properties that cover over 3,800 acres. Dr. Marcel Orin, ABV Gold’s Vice President of Exploration, has over 50 years of experience in mining, mineral exploration and public services. He brings an extensive knowledge of Canada’s geology, and has supervised exploration programs for base metals, precious metals, and uranium. In a prior commitment with the former Department of Mines, Dr. Orin contributed to the preparation of the geological compilation map of the Province of Quebec. The management of ABV Gold strategically positioned the company to acquire more properties and grow its asset base. ABV Gold has shown its commitment to maximizing shareholder equity in the past, and has great potential to become a key player in the gold and precious metals mining industry. This entry was posted in ABV Gold ABVG, QualityStocks Stock Newsletters on September 7, 2007 by QualityStocks. Michael McCarthy, Director of Business Development for QualityStocks.net, stated that he is excited to have ABV Gold as a featured company. 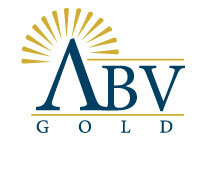 He continued to say that ABV Gold is quickly establishing itself as a category leader. This entry was posted in ABV Gold ABVG, QualityStocks Stock Newsletters on September 6, 2007 by QualityStocks. This entry was posted in ABV Gold ABVG, QualityStocks Stock Newsletters on September 5, 2007 by Jeanne. ABV Gold, Inc is a gold and precious metals mining company that is focused on locating, exploring, and mining world-class deposits. The company holds claims in three different properties, which cover over 3,800 acres. The company’s Toiyabe property contains approximately 1,200 acres and is estimated to hold 12-20 million pounds of Uranium in recoverable reserves. The potential Uranium in the reserves could be worth $1 billion dollars. ABV Gold’s Parin Mining properties cover over 2,600 acres of mining land claims. The Joutel region is well known for its gold, copper and zinc deposits, and is easily accessible for efficient development by paved highway as well as the other properties. The Dun Glen properties contain over 288,000 ounces of gold according to a report written by Murdaugh and Jones. The amount of gold represents $186,336,000 in potential revenue for the company and could be increased as more potential gold is discovered and prices for gold continue to rise. Dr. Marcel Orin, the Vice President of Exploration, has over 50 years of experience in mining, mineral exploration and public services. He brings an extensive knowledge of Canada’s geology, and has supervised exploration programs for base metals, precious metals, and uranium. In a prior commitment with the former Department of Mines, Dr. Orin contributed to the preparation of the geological compilation map of the Province of Quebec. This entry was posted in ABV Gold ABVG, QualityStocks Stock Newsletters on September 3, 2007 by QualityStocks. This entry was posted in ABV Gold ABVG, Ones to Watch on September 3, 2007 by Jeanne.